New Prime Minister Giuseppe Conte and his cabinet – the first populist government in an EU-founding member – were sworn in by President Sergio Mattarella at the presidential palace. 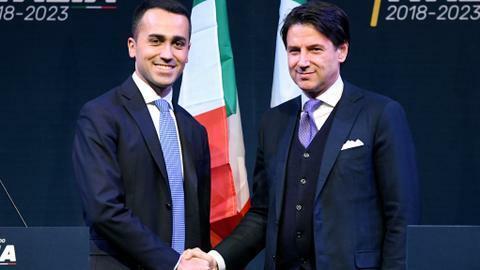 An anti-establishment government took power in Italy on Friday after a last-ditch coalition deal was hammered out to end months of political turmoil, narrowly avoiding snap elections in the eurozone's third largest economy. Just days ago fresh elections had seemed inevitable, but on Thursday, President Sergio Mattarella named political novice Conte as prime minister for the second time in less than a fortnight and approved his revised government forged by the nationalist League and anti-establishment Five Star Movement. "The new right is in power," said left-leaning daily La Repubblica. Journalist Laura Silvia Battaglia speaks to TRT World about Italy's new government and its impact. European powerhouse Germany vowed an "open" stance towards the new government, but European Commission chief Jean-Claude Juncker told Italians they needed to "do more work, less corruption" and stop blaming the EU for their woes. The new coalition plans to reject austerity and increasing spending and also wants to renegotiate EU treaties and review the bloc's economic governance. Its ambitious economic proposals – which include a monthly basic income for Italy's poorest and a two tier "flat" tax – have worried Brussels and financial markets given Italy's massive 2.3 trillion euro ($2.7 trillion) debt. The coalition deal turns the page on months of political turmoil following an inconclusive election in March which had raised jitters among Italy's European partners. Italian media reported that the lineup will face a vote of confidence on Monday or Tuesday in both houses of parliament, which it is almost certain to win thanks to Five Star and the League's combined majority in parliament. Mattarella had triggered a fresh crisis at the weekend when he vetoed eurosceptic Paolo Savona as economy minister in a previously proposed Five Star-League government. The two enraged parties abandoned their joint bid for power, and on Monday Mattarella asked ex-IMF economist Carlo Cottarelli to form a caretaker government designed to take Italy to what looked like probable autumn elections. However on Wednesday Five Star leader Luigi Di Maio, who had called for Mattarella's impeachment following his rejection of Savona, offered an olive branch by proposing the controversial 81-year-old financier for another government post. That brought League leader Matteo Salvini back to the negotiating table, and after frantic talks in Rome on Thursday the two parties emerged with a new 18-minister cabinet – featuring Savona in charge of EU affairs – that was quickly accepted by Mattarella. Conte, 53, who has been criticised as being a "Mr Nobody", named hardline anti-migrant Salvini as interior minister, while Di Maio is minister for economic development. Both will also be deputy prime ministers. 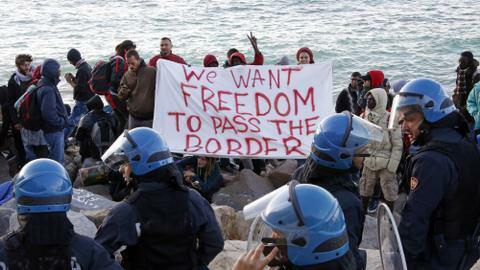 Salvini has long wanted his new post, from where he will aim to stop "the business" of migration, cracking down on people smuggling networks and speed up expulsions of illegal immigrants. A gleeful Salvini, an ally of French far-right figurehead Marine Le Pen, said at a rally that he would like to have a country with "a few less illegal immigrants". Financial markets bounced back Friday after a rollercoaster ride. The Milan stock exchange rose 1.74 percent at 1430 GMT as banks hit hard by the turmoil showed signs of recovery. However the new government will have to square its reforms with its debt mountain, which represents 132 percent of its gross domestic product, more than double the EU's 60-percent ceiling. Pictet Wealth Management economist Frederik Ducrozet that Italy was the only "highly indebted" euro nation not to embark on a structural reforms programme, while the European Central Bank tries to wean the eurozone off its massive monetary support. "It's the elephant in the room, because the problem was never resolved. There's no easy option if Italy needed help tomorrow."